Does it work? Yes. Check out what people are saying... "The free weight loss one is amazing! Love his voice, the imagery, and everything it says. Today was my second time doing it and I have felt a change in me where I don't crave junk food. I used headphones this time and it's better. Enjoy and know you are worth it." "I absolutely LOVE this app! I purchased all of the apps available within the main app. It's so relaxing, and I have even lost 10 pounds so far!! And the customer service is quick and knowledgable if you need them. Best app I ever purchased! :-)" "I have never looked into anything like this in my life and I can't begin to explain to you how it feels, sounds cliche but u really do go to another place. I've never felt anything like it. I would recommend a try just to experience the feeling when all instructions are followed." " I will certainly listen to it again… I felt relaxed and ready to face the day!!" "I love this app. it's so relaxing and makes u just drift off and find peace" "I feel great! I've done many hypnosis apps and binaural sleep apps and I LOVE this one. He's got a great voice and energy, that's right: :)" Our subconscious minds drives most of our behavior. If you haven’t been able to take control of your eating habits, then try deep hypnosis. Our specially designed hypnosis program will help you tackle the biggest weight loss obstacle... your subconscious mind. • Control the foods that you crave. • Re-program your connection with food. • Learn tricks to use to control how you eat. • Burn your stored fat for fuel. • Relax and free yourself to be active! • Let go of beliefs preventing you from managing your weight. • Reduce your weight by reducing cortisol levels. • Release your negative emotions. • Overcome mental blocks associated with fear. • Increase your motivation and desire to be active. 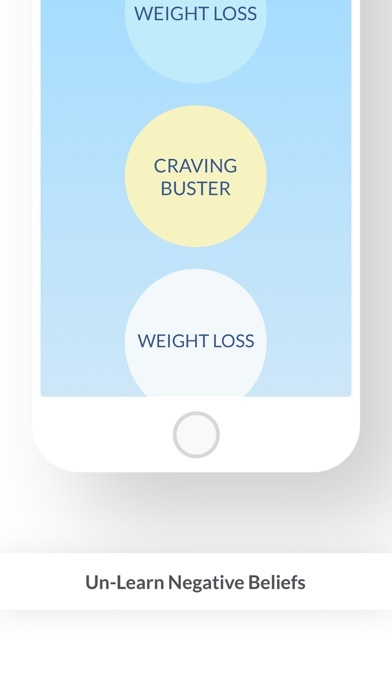 With Mindifi's weight loss hypnosis, you will experience advanced hypnosis, along with serene background music, natural sound effects, and pretty visuals. 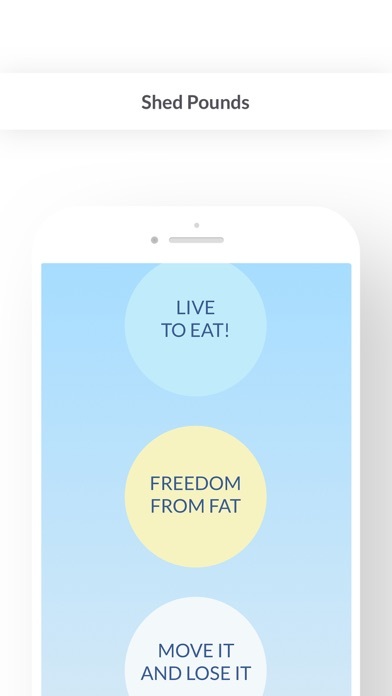 Audios in this app include the following: 1) Weight Loss 2) Craving Buster 3) Live to Eat! 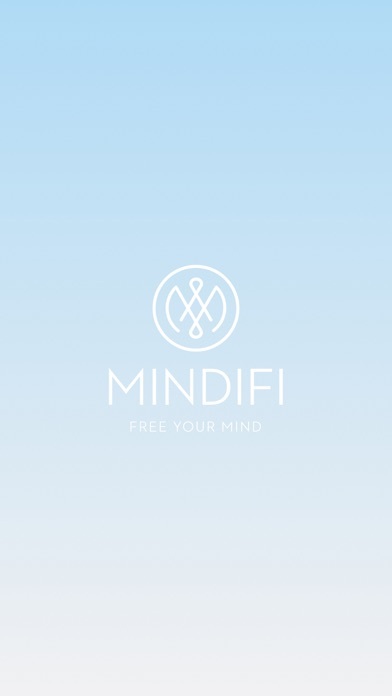 4) Master your Knife, Master Your Life 5) Jumpstart Your Metabolism 6) Sing Your Body Electric 7) Releasing Old, Limiting Beliefs 8) Lower Stress= Lower Weight 9) Freedom from Fat 10) Move it and Lose it 11) Movement Meditation Join 3.5 million other listeners in the calming world of Mindifi. I'm disappointed with this app. It's not at all professionally made. I understand it's free, but why would I purchase the the app if you think it's OK to offer up an app where you can hear someone coughing in the background, obvious editing errors and what sounds like someone dropping something? Put some effort in it and I'll put my dollars in it. Great content. App a bit buggy. I love the content, but really don't like having to restore the content every time. I am not always online. It looks like I am not the only one that has to restore every time I want to listen. That makes me wonder where the developers are! Please fix. I've used hypnosis in the past but this app helped me get deeper into the hypnosis than ever before. I love how the narrator has you visualize sculpting your true body while learning to accept and love your current body. I also like how they have you address past negative experiences and have you filter out the emotions related to those experiences and replace the memory with a more positive outcome and emotion. It doesn't really make sense that one would not be able to turn off the screen during a meditation/hypnosis where one's eyes are closed. It wastes battery and in fact keeps the room bright and heats my iPad. For this reason alone I will promptly be uninstalling. The good: 1. The words in no way try to convince you to buy more. No idea what that reviewer was listening to. 2. You do get the weight loss hypnosis free. You do not have to pay for it. 3. It is one of the most thorough weight loss hypnosis apps I have tried. This could be a great app, but for a few issues that prevent me from paying for them all: 1. No option to use before bed and drift to sleep. 2. No option to skip the 5 minute hypnosis intro. 3. Complaints about having to restore purchase after every use not being addressed. 4. Inability to combine and play several back to back. I love the entire series of Mindifi meditations. With this particular app I continue to have to restore my purchase - even if I just finished listening to a track. Tried deleting and reinstalling and that didn't fix it. Hoping some day they'll have an update to fix this bug. Absolutely worth 5 stars, only 4 due to unresolved tech issue. I loved this until I paid for the motivation to exercise and the next time I went to use it the thing wanted me to buy it again! So until I get back what I paid for this will stay at one star! Give me back my money or fix this please!